Newport Gwent Dragons head coach Paul Turner has attacked his Glasgow Warriors counterpart Sean Lineen over comments he made following Sunday's meeting between their respective sides at Rodney Parade. In an interview with The Telegraph which was published on Monday, Lineen called for the introduction of neutral touch judges for all Magners League matches, claiming that his side had been "up against 17 men" during their clash with the Dragons. Lineen was particularly incensed by the failure of the Welsh touch judges on duty at Rodney Parade to spot alleged fouls by Aled Brew and Scott Morgan, both of whom were subsequently cited. However, Turner has now hit back, claiming that Lineen was wrong to cast doubt on the impartiality of the two touch judges while also accusing the Warriors head coach of placing undue pressure on the Welsh Rugby Union (WRU) to come down hard on Brew and Morgan in light of the controversy. "We are very concerned about the comments made to the Telegraph by Glasgow Coach Sean Lineen," Turner said in a statement released on Thursday. "Obviously the comments in themselves are inappropriate but we also feel that they are prejudicial towards our players. "Since the disciplinary hearing will be held by the Welsh Rugby Union, this coverage will put pressure on the WRU to use our players as an example that they are a neutral body as far as discipline over their regions and hand out a harsher penalty. "I spoke with Sean after the game and he raised no concerns whatsoever. As a Magners League team, the Dragons have subscribed to all of the policies and procedures of Celtic Rugby, including those regarding discipline, as have all of the other teams. 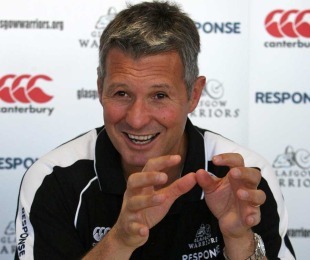 "I am disappointed that Glasgow, having signed up to the same participation agreement, feel that it is appropriate to publicly call into question the integrity of the League's officials in the public domain following what Lineen himself described as a poor performance by his players."